Richard the Lionheart letter opener without Sheath - this item is being discontinued, priced to sell!! 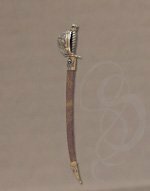 This miniature version of the historic sword of Richard the Lionheart, King of England, is 9 1/2 inches long and is provided with a sheath. 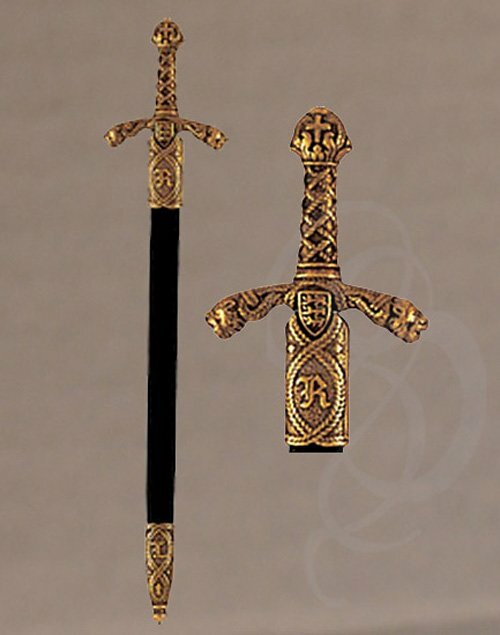 An excellent letter opener and a great desk accessory.